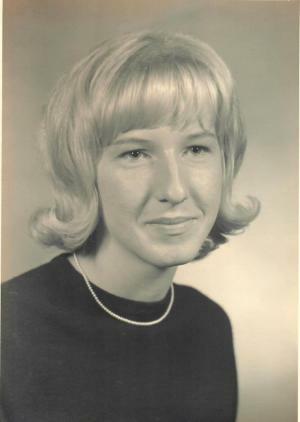 Patricia Ann Pickerill Prichard, age 70, of Pekin passed away Tuesday, April 16 at Salem Crossing. Patricia was born August 9, 1948 in Pekin, Indiana the daughter of Charles and Geraldine Martin Pickerill. She graduated from Indiana University Southeast in 1970 and was an elementary teacher at Bradie Shrum Elementary School for 41 years. She was a member of Big Springs Church of Christ and Tri Kappa for many years. She is survived by her mother: Geraldine Pickerill of Pekin, three brothers: Dennis Pickerill of New Albany, David Pickerill of Pekin and Donald Pickerill of Pekin, two sisters: Virginia Chinn (J) of Pekin and Nancy Dietrich (Dan) of Salem, and 17 nieces and nephews. She was preceded in death by her father: Charles Pickerill. A memorial service will be held Friday at 7PM at Weathers Funeral Home. Visitation with the family will be Friday from 5-7PM.